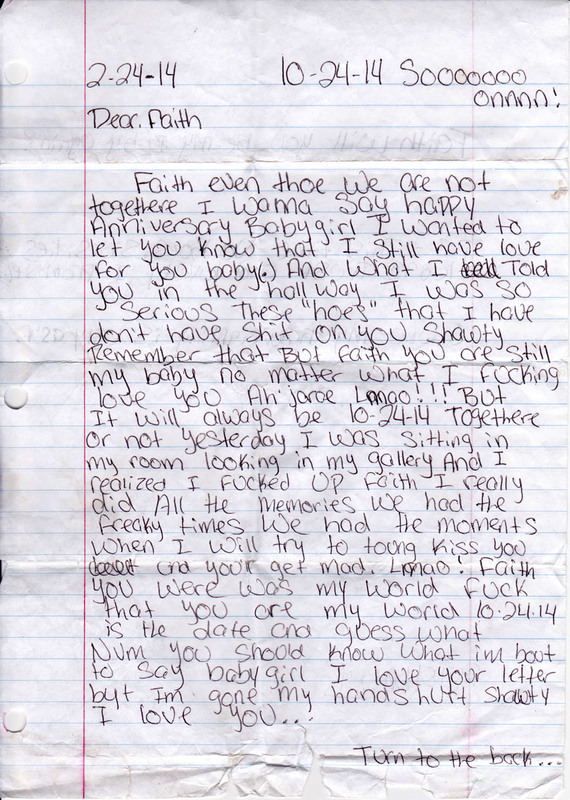 There’s something special about a hand written letter. A physical connection to words that is lost through email and texting. I don’t think that the digital revolution has left us without soul or emotion, just that there’s an extra level of communication that can be attained through pen on paper. The way the words are written, the size, the pressure, the messiness, these can all tell you a little more about how the words were said. So when you’re 4600 miles away from home, walking through the snow and you happen to see a white piece of paper frozen on the ground, and as you move closer the scrawled ink becomes apparent, you realise that you are truly blessed to have stumbled upon such treasure. There’s nothing more intimate than reading the heartfelt rantings of a broken heart, even if they’ve obviously been messing around with hoes. Even the context in which it was found builds a bigger picture, albeit a mysterious one. 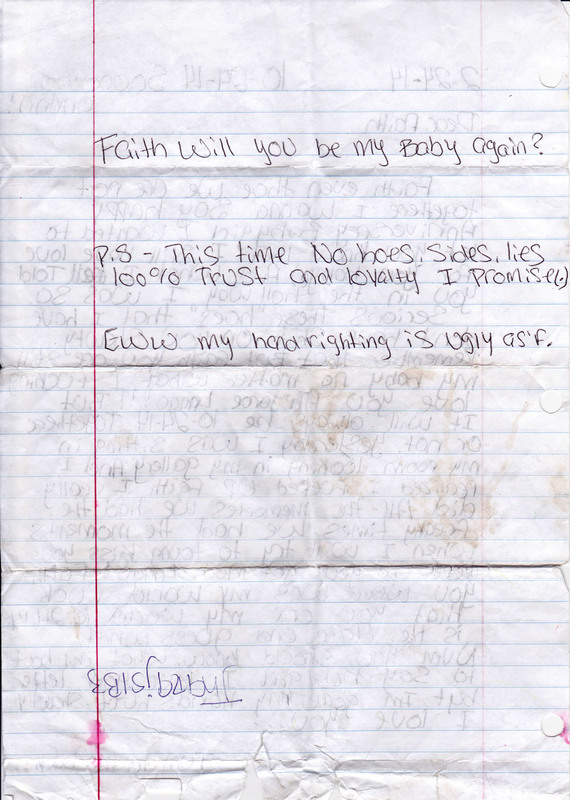 Maybe Faith read the letter and threw it on the ground in disdain. Maybe the guy who wrote it couldn’t find the courage to deliver it.